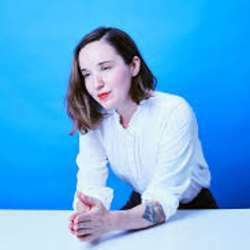 Sarah MacDougall: Big sonic landscapes for intimate stories . You must be a member of the Calgary Live Blues Music Group to attend this activity. Would you like to join this group? Hello Internations live music fans. Hope you had a good week so far and ready for a relaxed weekend. I have heard this song on the cbc radio channel this morning on my way to work and can't shake it off from my head yet. Speaking of Sarah, she really has a mesmerizing voice and great lyrics to her credit as both a singer and songwriter. I was not planning to go to this event but since finding out she is visiting Calgary tomorrow to sing from her recently released 4th album, I had to make an instant decision to attend. I have heard tickets are going fast. I hope you can join me on Saturday evening to share a great musical experience. Whitehorse-based singer-songwriter Sarah MacDougall Music hits the King Eddy stage in support of her new album, All The Hours I Have Left To Tell You Anything. Advanced tickets $15, $20 at the door. Sarah MacDougall's fourth album, All The Hours I Have Left To Tell You Anything, is a record about strength, identity, death, the breakdown of relationships, birth, and the ghosts we honour and carry throughout. The nine songs are inspired by the dark beauty of Scandinavia the vastness of the Yukon . Produced, recorded and mixed by Montreal-based Marcus Paquin (Stars, The Barr Brothers, Timbre Timbre, Arcade Fire, The National), with additional production and recording by Rich Jaques (Lisa Loeb), Nygel Asselin (Half Moon Run), and Bill Lefler (Royal Wood), All The Hours I Have Left To Tell You Anything is available now worldwide. "